Successful real estate agents are emotionally intelligent individuals. They like people, they have great social awareness, and they know that change is good. But, real estate agents must be in a position to use their emotional intelligence. One of the places where using their emotional intelligence can lead to lead generation is on social media. Using social media will generate leads if agents consider their emotional intelligence while utilizing the power of social media. 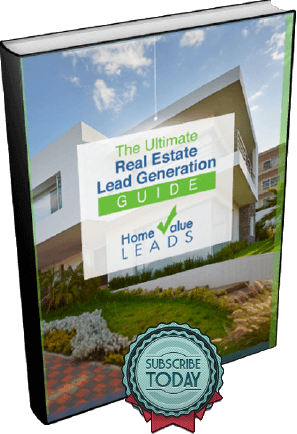 Check out 5 tips for real estate agents to generate leads. Emotionally intelligent people don’t make things hard on other people. Why would you, an EI real estate agent, want to make things difficult for someone who lands on your social media pages? Allow people to share with you. The key thing you want, and this is where your EI can come into play, is to get great reviews and testimonials from former and current clients. When those arrive onto your social media pages organically, clients decide to share things about you socially, you become a real estate agent star. That’s sincere from the heart marketing that you can’t buy. Why not crate a Facebook group about real estate that you run? You’re the expert. This wouldn’t be an incredibly difficult thing for you to accomplish. All you must do is head to your Facebook account, create a group, and ask people to join. Another reason to run the group yourself is to keep tabs on former and potential clients. By running the group, you have access to possible leads that you might have to search for via other means. Think about doing this right away. Real estate agents could incorporate 360 degree video on their social media pages. 360 degree video tells potential buyers what a room looks like in a home as if they were standing inside the home. The 360 degree perspective is still unique enough where real estate agents who employ socially could still find benefits. Definitely consider posting some great 360 degree videos onto your Facebook landing pages. Don’t forget about being social on social media. Never forget the social in social media. Spend some time on social topics. Because you’re emotionally intelligent, you could be the real estate agent that ties social topics into how potential clients feel about those topics. If you can, try to bring most things back to the real estate agent industry. Don’t go overboard, though. Also, don’t ever get heated. Use your EI when being social on social media. Automate Twitter keyword searches. Plenty of companies offer marketing services that notify you when keywords show up on relevant tweets. Consider working with one of these companies so that you can get notified about relevant tweets. Once you’re notified, use your EI to craft the best possible response to the potential client. Emotional intelligence is important, but EI’s no good if real estate agents can’t use their emotional intelligence effectively. One place where EI can be used effectively is on social media. Real estate agents with a high level of emotional intelligence can incorporate it with the five social media tactics described above to generate leads.